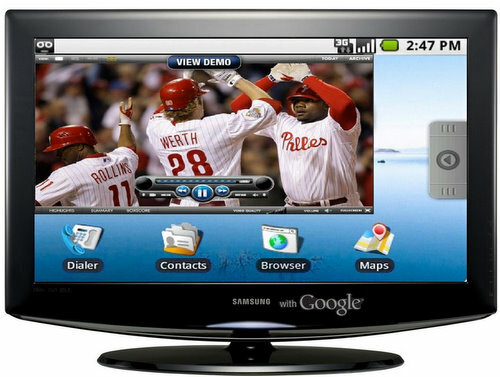 Twitter for Google TV - The Future of TV Is "Socialability"
Twitter announced today that “Twitter for Google TV” will come pre-installed on all Google TV’s. Twitter said that tweets aren’t just about TV shows, they are part of them. And this is true… take a look at the trending topics on any given Sunday for example. Nearly all of the trending topics are related to the NFL games being played. This is also true of the players that are playing on Sunday. For example, when Reggie Bush broke his leg, he and the event dominated Twitter’s trending list. This seems like a perfect platform for Twitter to venture into since TV plays such a huge role in determining what people are tweeting about.